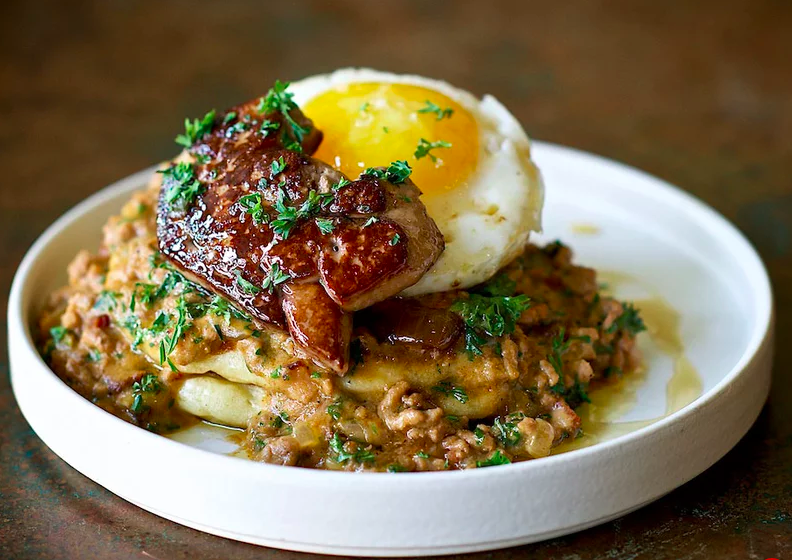 Oregon’s obsession with breakfast has famously led them—well, specifically Portland—in some fascinating directions, more recently; not many cities would be lucky enough to have a restaurant like Canard, where they serve you chilled oysters, and stacks of fluffy cakes topped with rich duck gravy, a fried duck egg, and if you’re feeling stupid, seared foie gras, followed up with a salted caramel cream-filled Paris Brest, from 8 o’clock in the everloving morning, all week long and many times over on Sundays. Then again, not many cities are lucky enough to have Gabriel Rucker on board—this is his doing, Rucker, of the (oh look, full circle) James Beard award, of Le Pigeon and Little Bird, two of Portland’s top restaurants. Feels like now there’s a third.